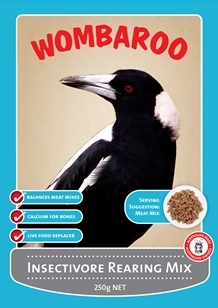 Wombaroo Insectivore Rearing Mix is a complete food for rearing and supplementing insectivorous and carnivorous birds. These species require a high proportion of protein in their diet.Priced per 500g. Wombaroo Insectivore Rearing Mix can be used as a supplement to boost protein, vitamins & minerals in meat, fish & egg diets. 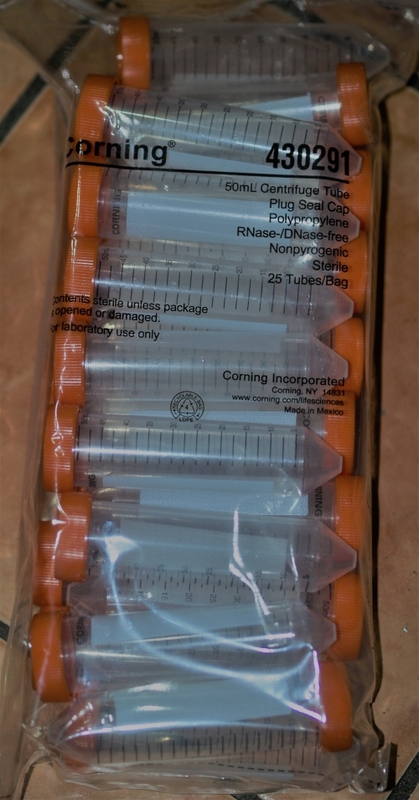 The product can also be mixed with water to make soft pellets or liquid slurry for hand-rearing or assist feeding. Suggested feeding guidelines are presented below. Do not add vitamin, mineral or concentrated food supplements to these diets as this may seriously alter the balance of nutrients. Prepare food fresh daily. Contains 52% protein, with the full complement of amino acids. Suitable for all insect or meat eating species including magpies, kookaburras, birds of prey, seabirds, waders, wrens & robins. Enriched with omega-3&6, carotenoids, vitamins and minerals to enhance feather condition and chick health.